I just knew it would happen when the weather was at its worst. Wet snow/rain mix. Neve had put Amelia and Piper in the shelter for me just before the rains came, but that same rain made for a leaky roof. This made it impossible to keep the hay dry in the shelter. I had to keep telling myself all day yesterday and all night that it was better than them being out the downpour and mud. We checked on them around midnight, and then again around 6 this morning, and neither one had any interest in showing signs of impending lambs. So I allowed myself another few hours’ sleep and went out around 10 am. I got halfway down the hill and I could hear Amelia making some noise. When I got to her, she had a head and one hoof sticking out the back and she was walking in circles trying to push it out the rest of the way. 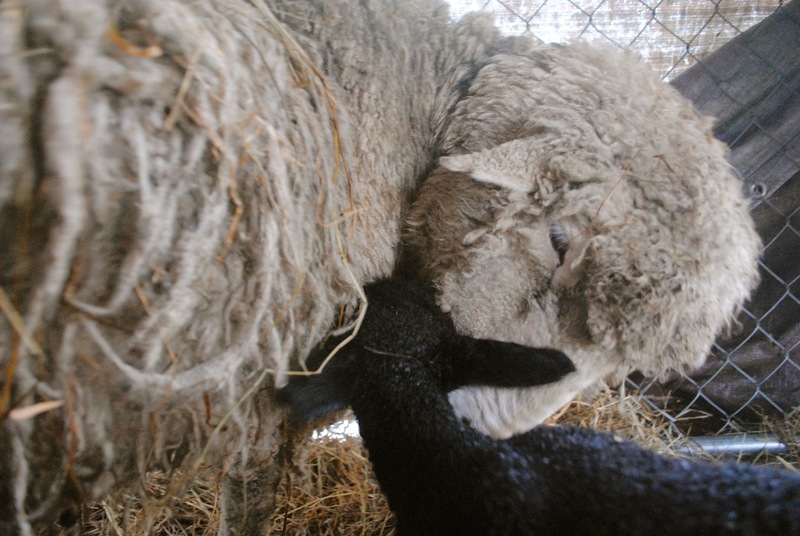 A normal birthing presentation for a lamb is head and two front feet first. 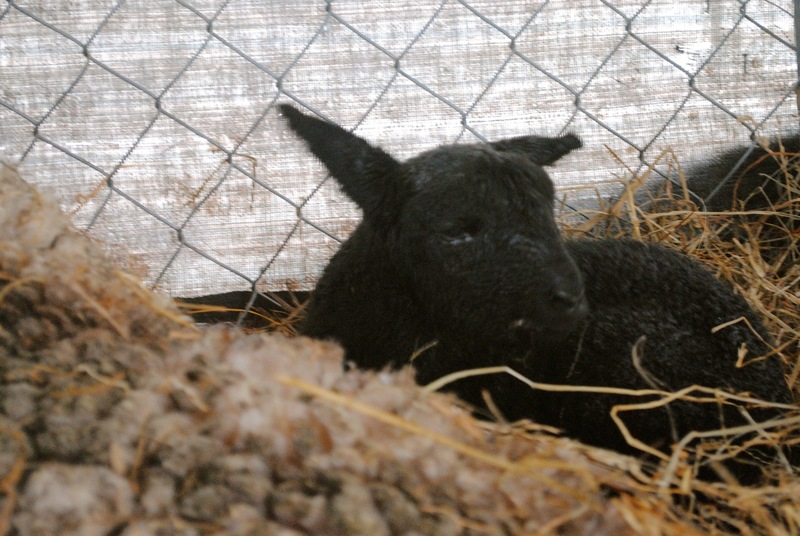 This poor lamb was stuck with one front leg behind him, which meant his shoulder was stuck against Amelia’s pelvis. Fortunately I was able to easily reach in and pull his shoulder free, at which point Amelia pushed him out the rest of the way. He was on his feet within 10 minutes, and nursing happily not long thereafter. We had been sure we’d get twins from her, but this little boy is GIGANTIC, so I wasn’t surprised when no twin came. 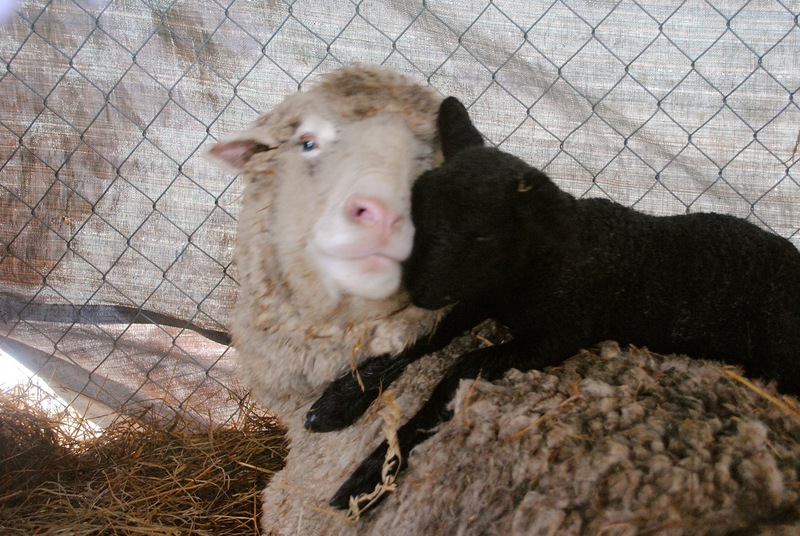 His father is Draco – in fact, all of the lambs we are expecting were sired by that lovely ram. Meet little (gigantic) Darby! He’s doing slendid despite the awful wet weather, and Amelia is a dream mother – super attentive and protective, and full of milk! As soon as he got onto his feet, he climbed onto his mama’s back. 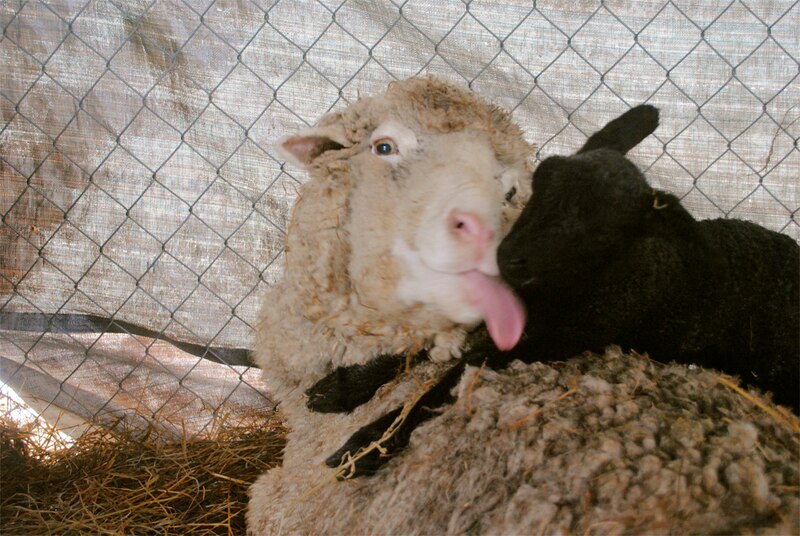 I can’t wait to see how his fleece grows!!!! Congratulations! 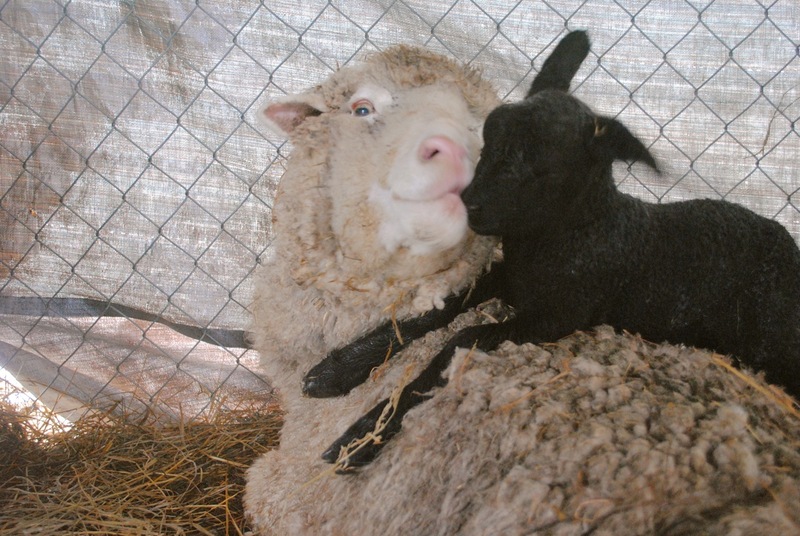 I love the photos–makes me want a mini-farm! I love the snuggle pictures!!!!! Oh she just looks like the best mama!!! Oh my word! He is stunning, and the mama/son pics are so fantastic!